BMW announced today the results of a new and different project. The German car maker is on the brink of unveiling the refreshed BMW 7 Series and the company decided that the flagship could use a proper stage for it. 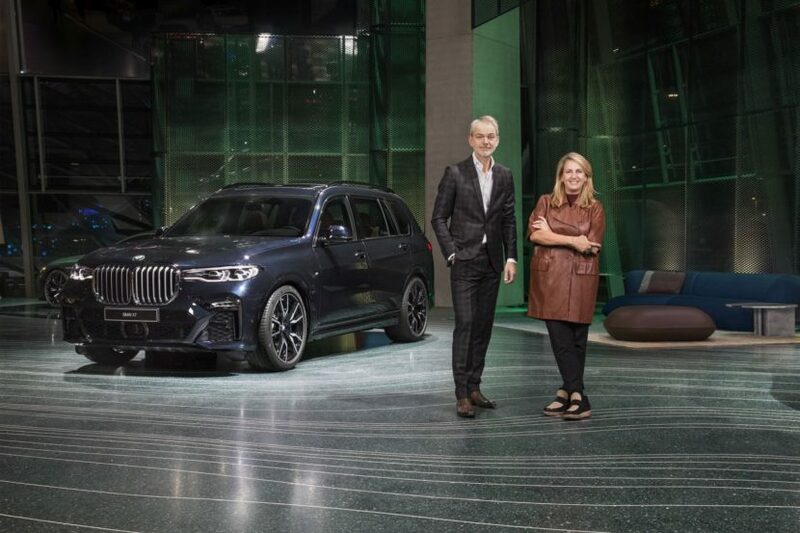 Therefore, a sort of task force was created including BMW Senior Vice President Adrian van Hooydonk, Milan-based architect and designer Patricia Urquiola and BMW Welt to put together a new space where the car will be showcased. For this occasion, the Bavarians also basically confirmed that the car will be shown to the world, in full, starting tomorrow. 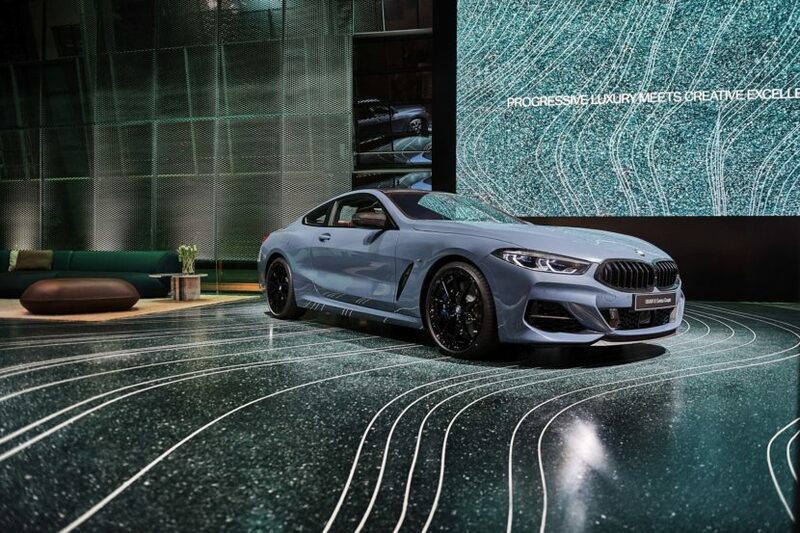 The unveiling will take place at the BMW Welt, in the new space created specifically for it with the help of 3D printing technology across a 322-square-meter floor. The aim for this installation was to combine luxury and freedom, two aspects that can somewhat define what the 7 Series brings to the table. Therefore, Urquiola was asked to show the world her interpretation of luxury. In order to do so, she chose to focus on freedom as this is the ultimate luxury in her view. Furthermore, she was inspired by the BMW M8 Gran Coupe Concept, its gradient color and the photo shoot of it on a frozen lake, all of which worked together for the designer’s transformation of the space inside the BMW Welt Museum. 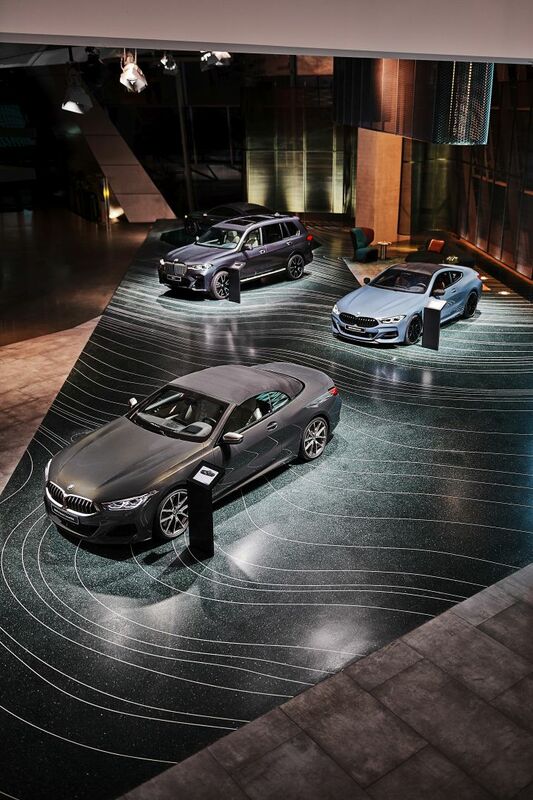 The end result at BMW Welt is a design for the presentation of BMW’s new flagship models, not just the 7 Series LCI. Classic terrazzo teams up with cutting-edge 3D-printing technology and brings a feeling of organic lines to the 3D-printed elements used on the floor of the space. “I liked the idea of applying a fresh technique to create what you might call new territory within the space. So, I used these filters in the metal mass to incorporate a kind of movement. It was a totally new and exciting way of thinking about a space for me,” explains Urquiola. “What I admire about Patricia’s work is that she approaches design from a human perspective. She creates exquisite products and luxurious spaces – but always with a warm heart, a central thread of humanity and a personal narrative. I admire that because it’s something we also channel into our design processes at BMW Design. Patricia is, in my view, not only a fantastic person, she’s also an outstanding partner to work with on creative projects and one who I value highly,” said Adrian van Hooydonk.